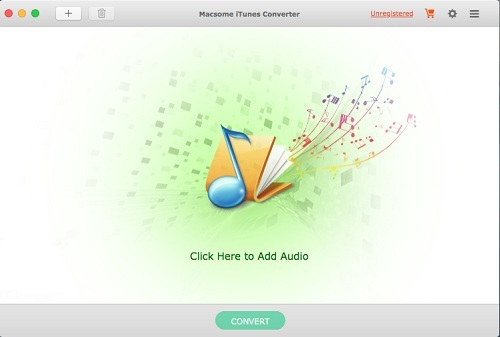 Macsome iTunes Converter can easily convert DRM-protected music and various audio files to unprotected MP3, AAC formats playable on any iPod, iPod Touch, iPhone, Zune, PSP, Creative Zen, and other MP3 players at high speed and CD quality. Convert M4P to MP3, AA to MP3 or AAC in 5X-fast speed, with ID tags preserved. iTunes M4P-to-MP3 converter, Audible AA-to-MP3 or -AAC converter. Moreover, it is also a professional Apple Music Converter, which can convert all the downloaded files from M4P to MP3, and remove DRM protections so you can play Apple Music files without limitations any more. The iTunes Converter is used to convert all the iTunes music or other audio files which could be played on iTunes. The conversion is 20X speed faster, and the output could be CD quality. It’s all-in-one tool to convert M4P to MP3, convert protected or unprotected audiobook, convert iTunes Match Music to MP3 , convert Apple Music to MP3 and convert AAC to MP3. It is a powerful, yet simple audio conversion tool to bypass DRM control with 5X recording and encoding to MP3 method. With batch conversion, the software plays protected music tracks silently in the background and records audio files with top digital quality at speeds up to 5x. Fix the M4P conversion Error under macOS 10.14.